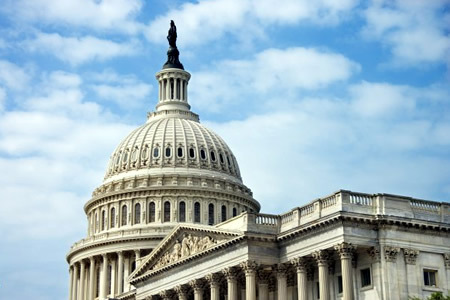 The International Franchise Association (IFA) today applauded the bipartisan economic rescue plan agreed to by congressional leaders and urged both the House and Senate to pass it quickly. 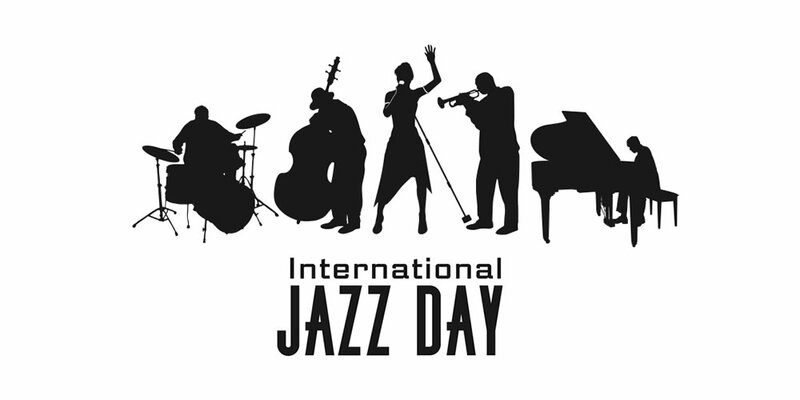 The International Franchise Association is the world's oldest and largest organization representing franchising. "We support the plan as outlined today by negotiators as a critical step in freeing up needed credit to help keep Main Street businesses operating and growing," said IFA Vice President of government relations David French. "Our members commend the extraordinary efforts by leading policymakers over the weekend to bring this important legislation together. The addition of crucial oversight and taxpayer safeguards strengthens the plan, and the package should send a positive signal to the financial markets and bring stability to the U.S financial system." 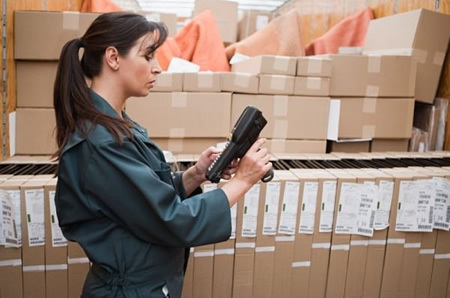 The franchised business sector is made up of locally owned businesses that create 21 million jobs and contribute $2.3 trillion to the private sector economy. Thousands of IFA members made their views known to congressional leaders this weekend with the message to come together on a bipartisan plan to bring stability to our nation's financial markets. "We are grateful that our views and the views of thousands of small businesses across the country were heard," French said. "Now, Congress should pass the bill quickly and get it to the President for signing." "Workers will not accept their tax dollars being turned over to the fat cats who took multi-million dollar bonuses and then bankrupted their companies and now threaten our entire economy. Action on the bailout will shape the votes of working Americans in November." "This massive bailout is nothing short of a scheme by irresponsible corporate pirates to privatize gains and socialize debt. Such a move will only further add to the burden of individuals and families, who are already struggling to make ends meet. Not one of our tax dollars should go toward rescuing an industry that is failing because of unregulated lending and trading practices. We are tired of giving golden parachutes to greedy corporate interests. We're standing up and saying, 'Not this time, not with my money and not with my consent'." - Cindy Sheehan, Candidate for Congress. "Proposed $700 Billion Bailout Is Too Little, Too Late to End the Debt Crisis; Too Much, Too Soon for the U.S. Bond Market: The proposal before Congress for a $700 billion financial industry bailout will not only fail to end the massive U.S. debt crisis but could actually aggravate the crisis by driving up interest rates. 1. 1,479 U.S. banks and 158 U.S. thrifts are at risk of failure, with total assets of $3.2 trillion, or 41 times the assets of banks on the FDIC's list of troubled institutions. 2. Among those with $5 billion or more in assets, 61 banks and 25 thrifts are heavily exposed to nonperforming mortgages. 3. The bailouts announced and proposed to date, although expected to cost over $1 trillion, are too small to rescue most institutions at risk, let alone address multiple problems with U.S. interest-bearing debts outstanding of $51 trillion and derivatives held by U.S. banks of $180 trillion. There should be no illusion that the $700 billion estimate proposed by the Administration will be enough to end the crisis. Nor should there be any false hopes that the market for U.S. government securities can absorb the additional burden of a $700 billion bailout without putting major upward pressure on U.S. interest rates, aggravating the very debt crisis that the government is seeking to alleviate." "Members of Congress are being asked to come together in a bipartisan effort to deal with an unprecedented financial crisis that threatens the stability of the global economy. For good reason, many are reluctant to take abrupt and dramatic action without giving due consideration to the long-term implications. This caution and thoroughness is appropriate. But it does not diminish the need to take convincing action very soon. • There will be a time for investigation and the assessment of blame and guilt. This is not it. • There will be a time to re-balance the powers of the executive and legislative branches of government. This is not it. • There will be time to ensure government is not intruding unimpeded into the realm of private markets. This is not it. The objections of lawmakers and many in the public to news of the "bailout" on the grounds of political philosophy and legislative oversight, and pure fear of government growth are legitimate and worthy. But the urgency of the situation -- the possibility of economic chaos and all that would mean -- is also legitimate. What the economy requires immediately is first aid -- not long-term care. A first responder deals with the "ABCs" -- "airway, breathing and circulation." The same triage is required for the global economy. We are choking on bad debt and in real danger of the complete loss of financial circulation. We have to get the economy breathing again and world markets circulating freely. Then we can deal with everything else. We do not have the leisure to stand over the victim arguing about who is to blame for the injury or who is going to pay for the treatment. That must come after we know the victim will live." "It's fine to hope for the best, but we should budget for the worst. While the intent of this plan is to recoup much, if not all, of the initial cost to taxpayers there are no guarantees. The value of the assets to be purchased is highly uncertain. What we know for certain is that the government will incur a huge upfront cost, immediately adding to the debt and immediately incurring compounding interest payments. All of this will be layered on top of a deficit expected to exceed $500 billion next year, and an overall fiscal policy that is unsustainable. Meanwhile, we are borrowing increasing amounts from abroad to make up for our inability to make crucial budgetary decisions. The answer to every problem in Washington seems to be more debt. That simply cannot go on. Given the uncertainty of the return on this $700 billion of new borrowing, and the daunting challenges already confronting the fiscal outlook, Congress should adjust budget policy either though phased-in spending cuts or tax increases to ensure against any permanent fiscal deterioration. Washington can normally act in the face of a crisis. We don't need to relearn that lesson. A more fundamental issue is whether we can learn from the current crisis and finally break the pattern of routinely ignoring long festering problems. It is no secret that our nation is entering an unprecedented and permanent demographic transformation to an older society and that we are doing so with steadily rising health care costs and steadily falling national savings. This is a dangerous combination for the future health of the economy. And yet, nothing in the budget process requires Congress to review the current-law outlook beyond the next five years, much less take corrective action. If we learn from Wall Street's mistakes, we can act more effectively, with less pain, and more time to prepare the public for difficult but necessary choices. 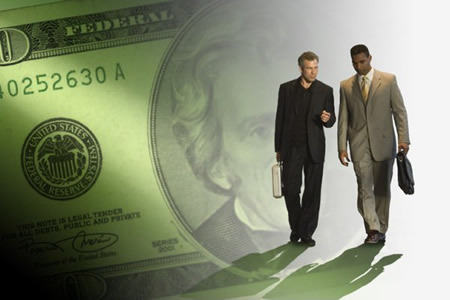 If we don't change course, the federal government itself will be in need of a bailout." "As you know, about a week and a half ago, the Administration visited Capitol Hill and described the crisis in our financial markets and in our economy. A couple of days later, they presented us with their legislation, and since then we have worked in a bipartisan way to improve that legislation. We've entered into those conversations in the spirit of bipartisanship, with the understanding that each side would have half of our votes to pass the bill. Today when the legislation came to the floor, the Democratic side more than lived up to its side of the bargain. While the legislation may have failed, the crisis is still with us. Some of the issues that we worked on with the Republicans to improve the initial legislation related to oversight and protecting the taxpayer as we stabilize the markets. It was about ownership and equity in return for some of the investments that were made. It was about forbearance for homeowners so they could stay in their home. It was about corporate pay and how that had no more golden parachutes, and it was also about, again, oversight, oversight, oversight. I think these were major improvements to the bill, and as I say, they were bipartisan. The President impressed the Members about the gravity of the situation; that action is necessary to stabilize the markets and to protect the taxpayer. So again, the legislation has failed but the crisis has not gone away. We must work in a bipartisan way, in order to have another bite of the apple, in terms of some legislation." - Nancy Pelosi, Speaker of the House of Representatives, after the House rejected the Bailout Package 228-205 on Monday, September 29, 2008. The U.S. Chamber of Commerce, the world's largest business federation representing more than three million businesses and organizations of every size, sector, and region, urges Congress to immediately pass the bipartisan financial rescue package to stem the financial panic. Congress must not adjourn without taking action to stabilize the financial markets. Today's failure to approve legislation addressing the financial crisis has resulted in uncertainty and turmoil that have dramatically affected the markets, and lowered equity prices, eroding individual savings and destroying billions of dollars of household wealth. Make no mistake: when the aftermath of Congressional inaction becomes clear, Americans will not tolerate those who stood by and let the calamity happen. If, on the other hand, Congress supports a plan to successfully restore the financial system and preserve the flow of credit to the economy, the American people will recognize that act of courage. The Chamber urges Congress to immediately pass financial rescue legislation. The Chamber will score votes on, or in relation to, this issue in our annual How They Voted scorecard. "Over the last decade, U.S. Chamber of Commerce has spearheaded and accelerated the movement for less corporate accountability and less regulation. 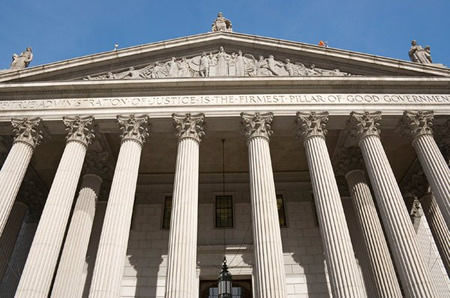 During this same time period, there have been major corporate fraud convictions, accounting scandals, and the biggest economic crisis since the Great Depression at a great cost to the American people. The current financial crisis was caused by U.S. Chamber's aggressive lobbying to eliminate accountability and oversight. Today, U.S. Chamber is the loudest supporter of a $700 billion taxpayer bailout, even though it spent the last decade fighting to eliminate corporate accountability -- one of the major factors that led to the current financial crisis. U.S. Chamber of Commerce has sought to destroy any check on corporate excess, accountability and greed. By conducting the dirty work of Enron, Exxon, AIG, and a host of other negligent corporations, U.S. Chamber has put countless Americans in financial jeopardy." 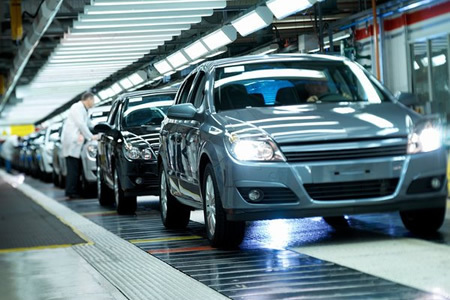 "On behalf of our ten member companies representing nearly 80% of the U.S. new car sales market, the Alliance of Automobile Manufacturers strongly urges Congress and the Administration to come together swiftly to stabilize the credit market. • For many Americans, after their homes, automobiles are the largest purchase they will ever make. • With more than 90% of all new vehicles financed with credit it is crucial to our industry's survival that consumers have the ability to borrow money. • This financial crisis not only compromises the vitality of our companies but also, and more importantly, the one in ten Americans whose jobs are supported by the auto industry, including suppliers, dealers and small businesses. Immediate action is imperative. • We commend the bipartisan leadership of Congress and the Administration for their efforts to craft a compromise and urge Congress to quickly pass, by the end of this week, a financial rescue package that aids both the credit markets and the ability of consumers to finance vehicle purchases." 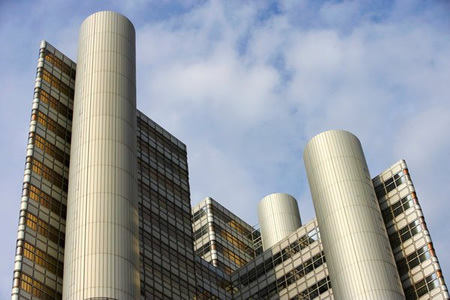 The economic downturn and financial instability have made the largest transnational corporations (TNCs) more cautious about their medium-term foreign direct investment (FDI) ambitions, UNCTADÂ´s World Investment Prospects Survey 2008-2010 reports. The percentage of companies planning large increases in investment overseas over the next three years has dropped significantly from 2007. The annual survey, known as the WIPS (World Investment Prospects Survey), was released yesterday in Geneva, Switzerland, in conjunction with the World Investment Report 2008. WIPS results are based on 226 responses to queries sent to the worldÂ´s largest TNCs. The survey indicates that a majority of respondent companies still plan to increase their international investment expenditures, albeit at a more moderate level, over the next three years. This is largely due to an underlying and persistent trend towards expanding the share of TNC production, employment, and sales abroad. This trend towards internationalization will affect all corporate functions, including research and development (R&D) and decision-making centres, which so far have tended to remain in TNCsÂ´ home countries. Analysis by home region shows the quickly growing international ambitions of companies from the developing world, particularly Asia, while FDI prospects for companies from developed countries, especially North American and Japan, have dimmed as compared to a year ago. Although still very focused on investing in their home regions, companies are expressing a growing interest in "far-shore" investments, providing evidence of a gradual extension of their strategic scope. Five very large countries are considered by large TNCs as the most attractive destinations for future foreign investment: China, India, the United States, the Russian Federation, and Brazil. Their rankings are unchanged from last yearÂ´s survey. However, the Russian Federation and Brazil have caught up noticeably in attractiveness. 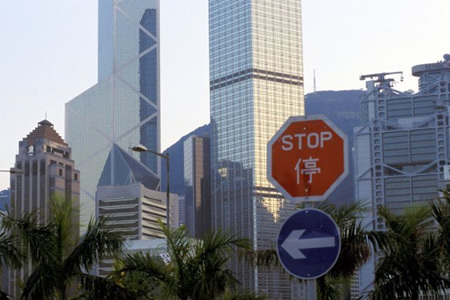 It is noteworthy that four of the five top destinations are the emerging economies known collectively as BRICs (Brazil, Russia, India, and China). Among the top 15 destination countries, Viet Nam again ranks 6th; Germany and Indonesia have improved to 7th and 8th, respectively. Australia, the United Kingdom, Poland, and France have declined slightly in the rankings but still remain in the top 15. Newcomers to the top 15 are South Africa, Canada, and Turkey. Market growth, market size, and access to international/regional markets are by far the most important factors influencing companiesÂ´ choices of investment location (50% of answers combined), followed by quality of business environment, including availability of skilled labour (8%), suppliers (6%), and adequate infrastructure (7%). The legal environment and government effectiveness were also mentioned frequently by TNCs responding to the survey. Availability of cheap labour, although not a negligible factor on average (8% of responses), appears to be a major determinant only for a few labour-intensive manufacturing activities such as garment production. The World Investment Prospects Survey 2008-2010 is the most recent of a series of surveys on FDI prospects. UNCTAD has carried similar surveys since 1995. In performing its functions, United Nations Conference on Trade and Development (UNCTAD) works together with member Governments and interacts with organizations of the United Nations system and regional commissions, as well as with governmental institutions, non-governmental organizations, the private sector, including trade and industry associations, research institutes and universities worldwide. 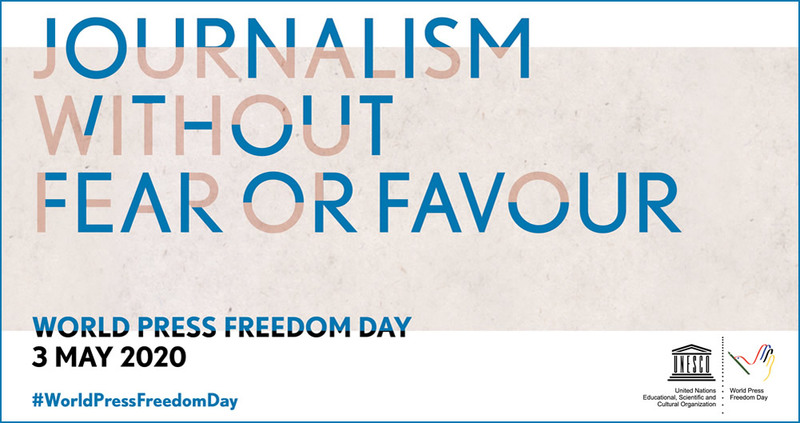 Source: United Nations Conference on Trade and Development (UNCTAD), Palais des Nations, 8-14, Av. de la Paix, 1211 Geneva 10, Switzerland. 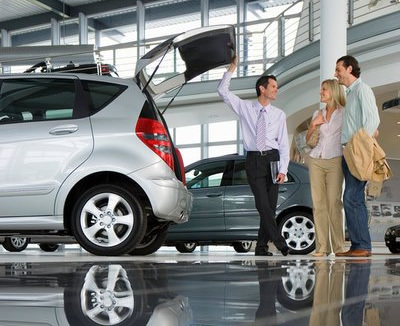 The study, which analyzes the reasons why consumers consider a model but ultimately purchase a different make or model, finds that 80 percent of vehicles are rejected after a new-vehicle shopper has visited a dealership. (1) Another dealer has better service. (2) Limited availability of the specific vehicle shoppers are looking for on dealer lots. (3) Lack of professionalism among personnel at the dealership. 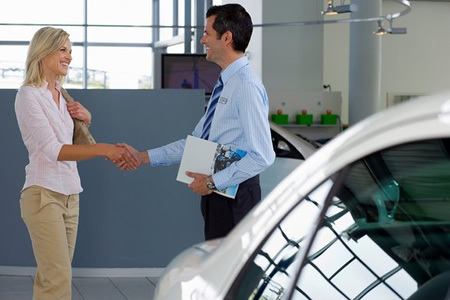 "Given today's challenging automotive market, both sales and service experiences at the dealership are particularly critical in the decision-making process of shoppers," said Tom Gauer, senior director of automotive retail research at J.D. Power and Associates. "Sales personnel can play a key role in improving close rates by viewing customer visits as an opportunity to demonstrate a vehicle's value and by successfully matching shoppers with the new vehicle that best suits their needs." The study also finds that an increasing number of shoppers have considered buying an Asian brand -- 63 percent in 2008, up from 60 percent in 2007. Conversely, the proportion of shoppers who considered buying a domestic (American) brand has decreased -- down to 55 percent in 2008 from 58 percent in 2007. Shoppers who cross-shop among Asian and domestic brands are more likely to purchase an Asian brand and most often cite retained value, reliability and gas mileage as primary reasons for their choice. In contrast, those customers who purchase a domestic (American) brand instead of an Asian brand most commonly cite a desire to "buy American" as their primary reason for purchase, followed by rebates and incentives offered, and vehicle price. "As shoppers move away from larger-vehicle segments in growing numbers, domestic (American) manufacturers -- more so than Asian and European manufacturers -- must focus on rapidly aligning their U.S. product portfolios with this shift in consumer preferences," said Gauer. "Interestingly, nearly 40 percent of all shoppers who reject a vehicle because of price say they can afford the vehicle, but don't believe the vehicle is worth the price," said Gauer. "This presents an opportunity for dealership personnel to focus on demonstrating the different features contributing to the vehicle's total value to these shoppers, which can eventually lead to increases in close rates." • J.D. Power's "2008 Escaped Shopper Study" is based on responses from 29,903 new-vehicle buyers surveyed between May and July 2008. "This is a very useful report from J.D. Power. The crucial point that emerges from this study is that when an auto maker advertises its products in the media or displays them at auto shows, it is only half the marketing done. And this half the marketing done is no marketing done at all till it is hundred percent completed via the franchisee auto dealers. 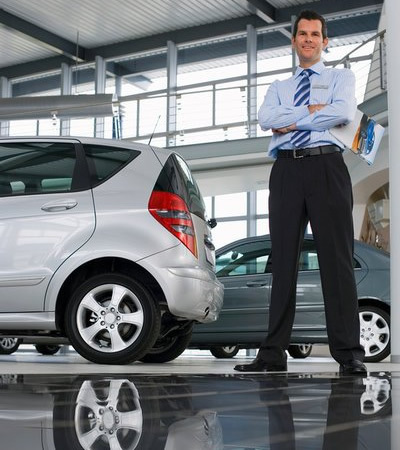 Success in retail auto sales isn't an easy process and turnover is constantly an issue. With vehicle pricing readily available in newspapers, other publications and online, consumers quickly decide what make and model of vehicle they want to buy. Today, more and more consumers are using the Information Superhighway to find reviews and ratings of dealerships and their employees. 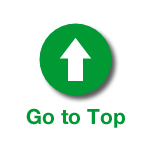 As a result, the best local sales and service professionals have been elevated by their customers and are being promoted online as well as offline. As what a global Internet survey by Nielsen found, more than 80 per cent of those who use the Internet trust others' advice rather than any kind of advertising, proving that word-of-mouth is the most powerful advertising tool. 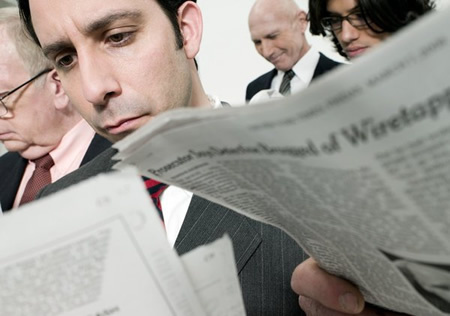 Newspapers come second in the 'most trusted list'. 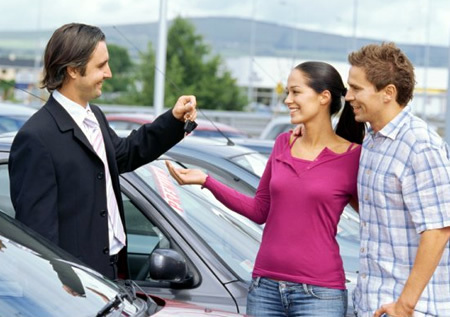 Since a dealer's good or bad reputation is instantly transferred to the automobile manufacturer, most of the remaining marketing to be done by an auto maker should consist of bringing about 'word of mouth' recommendations about its dealers. 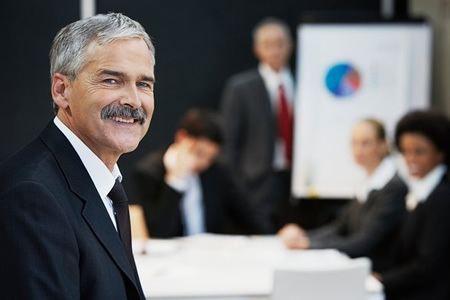 To make that happen and to make its marketing hundred percent complete and successful, it is essential that the car maker constantly reviews dealer performance and sees how it can help its dealers in keeping their salespersons courteous and professional." On Tuesday, October 28th, Columbia Records will release two special edition CDs featuring career-spanning repertoire from Celine Dion, one of the biggest selling female artist of all time. "My Love...Essential Collection" is a single disc featuring 17 songs, consisting of Celine's biggest hits...songs such as the international chart-topper "All By Myself", "Where Does My Heart Beat Now", her landmark 1996 Olympic Ceremonies performance of "Power of the Dream, the brand-new never-released "There Comes A Time," and a live recording of the lead track "My Love." "My Love" is a semi-autobiographic song recently written for Celine by Linda Perry (Christina Aguilera, Dixie Chicks, Gwen Stefani) and has become a show-stopper every night during Celine's sold-out World Tour, which is currently in flight across North America. "My Love" impacts at radio on September 22nd. The two-disc edition, entitled "My Love...Ultimate Essential Collection," is a 26 song set that has been further expanded to include rarities like "(You Make Me Feel Like A) Natural Woman," "The Prayer" (a duet with Andrea Bocelli), "Tell Him" (a duet with Barbra Streisand), "I Knew I Loved You," "Dance With My Father", and "Pour que tu m'aimes encore" (the biggest song of Celine's French career). Celine's "My Love..." anthologies cover virtually every single aspect of her extraordinary career, including fan favorites, a definitive assemblage of chart-topping international successes, as well as new and unreleased recordings culled from once-in-a-lifetime experiences that Celine has participated in over the years. According to Columbia Records, "Celine Dion is the biggest-selling Female Artist of All Time, with worldwide album sales of over 200 million. Her RIAA Diamond Award albums "Falling Into You" and "Let's Talk About Love" have each sold over 30 million worldwide. She has five Grammys -- Best Pop Vocal Performance ("Beauty and the Beast"); Album of the Year & Best Pop Album ("Falling Into You"); Record of the Year & Best Female Pop Vocal Performance ("My Heart Will Go On") and two Best Song Oscars ("Beauty and the Beast" & "My Heart Will Go On")." Bank of America Corporation's announcement that it has agreed to acquire Merrill Lynch & Co., Inc. in a $50 billion all-stock transaction, has created a company unrivalled in its breadth of financial services and global reach. 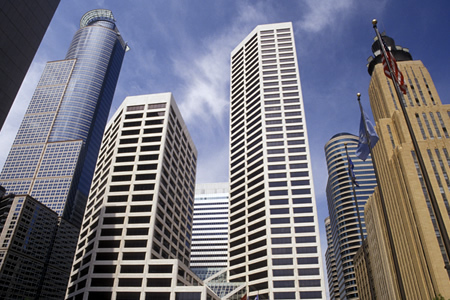 While Bank of America is one of the world's largest financial institutions, Merrill Lynch is one of the world's leading wealth management, capital markets and advisory companies, with offices in 40 countries and territories. 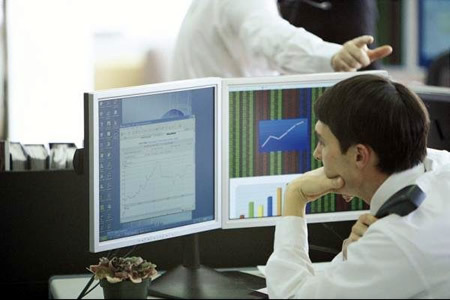 As an investment bank, it is a leading global trader and underwriter of securities and derivatives across a broad range of asset classes and serves as a strategic advisor to corporations, governments, institutions and individuals worldwide. "Acquiring one of the premier wealth management, capital markets, and advisory companies is a great opportunity for our shareholders," Bank of America Chairman and Chief Executive Officer Ken Lewis said. "Together, our companies are more valuable because of the synergies in our businesses." "Merrill Lynch is a great global franchise and I look forward to working with Ken Lewis and our senior management teams to create what will be the leading financial institution in the world with the combination of these two firms," said John Thain, chairman and CEO of Merrill Lynch. 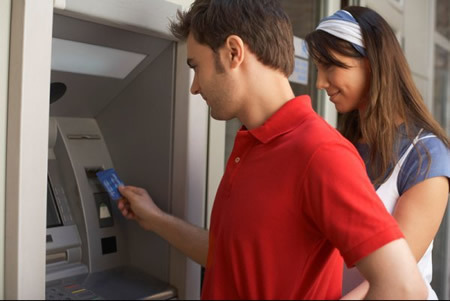 The transaction is expected to close in the first quarter of 2009. It has been approved by directors of both companies and is subject to shareholder votes at both companies and standard regulatory approvals. Under the agreement, three directors of Merrill Lynch will join the Bank of America Board of Directors. By adding Merrill Lynch's more than 16,000 financial advisers, Bank of America would have the largest brokerage in the world with more than 20,000 advisers and $2.5 trillion in client assets. At the same time, the sale of Merrill Lynch (MER) to Bank of America (BAC) has triggered one of the largest and most historical talent feeding frenzies in recent history. "We have received a lot of calls from Merrill FAs already," says Darin Manis, CEO of RJ & Makay a national financial recruiting firm. "Once the dust settles Merrill brokers will be waiting to hear what their retention packages will be." RJ & Makay is a financial recruiting firm that has recruited many dozens of brokers representing billions in assets this year and hopes to capitalize on the turbulent landscape to grab billions more in the fourth quarter. "Even if the pending announcement of the retention package is competitive there will still be attrition. 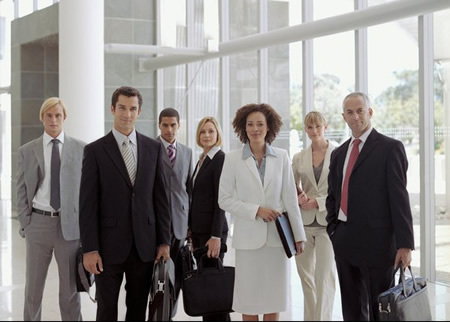 Historically there is an average pattern of 8%-15% attrition. 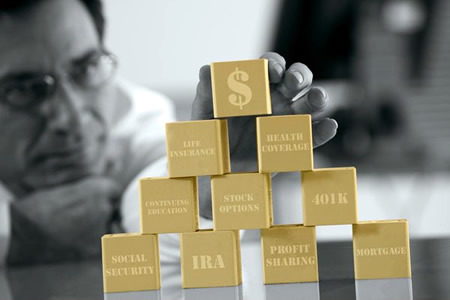 With Merrill's size that could mean over 2,000 brokers ending up with a Merrill competitor. With the average Merrill FA having about 100 million in assets this is clearly a unique and welcome recruiting opportunity," Manis adds. "Merrill Lynch and Lehman Brothers are the latest corporate casualties in the financial crisis caused by abusive loans from reckless lenders. Even the former chair of the Mortgage Bankers Association now concedes that brokers, lenders and investors 'forgot about [their] customers' because 'making money and our commission checks were more important.' In short, these loans never should have been made. The failure of Lehman and forced sale of Merrill underscore the need for stronger regulation of the mortgage market to prevent this from recurring, and, if we want to fix the economy, the need to modify the millions of bad loans that created this mess." "Lehman Brothers aside, the government's actions toward Bear Stearns, Fannie and Freddie, and now handout requests from Detroit automakers could signal an ominous new trend of meddling in markets. Politicians have been digging taxpayers deeper into the fiscal hole, and we have to take their shovels away before we're all buried for good." Photo: John McCain, Barack Obama Outline China Views Through AmCham-China. 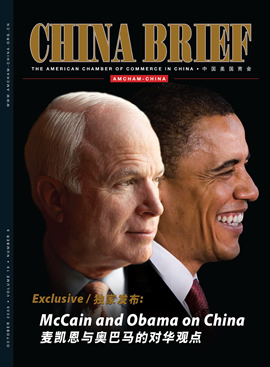 The American Chamber of Commerce in China (AmCham-China) today announced in Beijing that US presidential candidates John McCain and Barack Obama have outlined their views on what US-China relations would be like under their respective administrations in articles written exclusively for AmCham. The articles, to be published in the October issue of AmCham-China's monthly magazine, China Brief, are believed to represent the first time the two candidates have publicly offered substantive details about their proposed China policies. AmCham-China is a Beijing-based, non-profit organization representing the interests of some 2,700 companies and individuals doing business throughout China. The articles outline the candidates' positions on a range of critical China-related business and policy issues facing the next US administration including trade balances, currency, security and the environment, as well as their thoughts on US competitiveness in the world economy. "The fact that senators McCain and Obama chose to share their insights first with AmCham members is a testament to the chamber's reach and standing as an advocate for positive US-China business relations," said AmCham-China Chairman James Zimmerman. "We are encouraged to see both candidates call for further business development and more US engagement -- rather than isolationism -- in the years ahead. As a non-profit, non-partisan organization, AmCham-China looks forward to continuing good relations with the next administration." Among many topics addressed, both candidates lay out clear indications of their views on trade. For example, in his article Senator Obama writes that he will "undertake more sustained and serious efforts to combat intellectual property piracy in China, and to address regulations that discriminate against foreign investments in major sectors and other unfair trading practices." In addition, the senator pledges to work with China's leaders "to establish a better system for both countries to monitor products produced for export and act when dangerous products are identified." Meanwhile, Senator McCain stresses China's obligations in improving bilateral trade relations. China's "commitment to open markets must include enforcement of international trade rules, protecting intellectual property, lowering manufacturing tariffs," he writes. "The next administration should be clear about where China needs to make progress, hold it to its commitments through enforcement at the World Trade Organization, and enforce US trade and product safety laws." 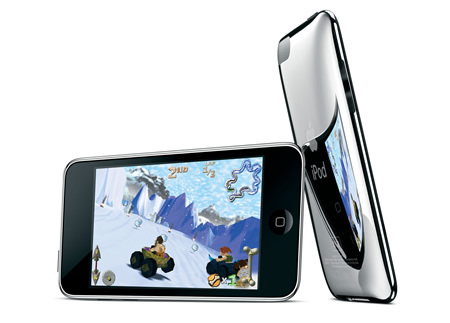 Photo: Apple's iPod touch for movies, music and games. 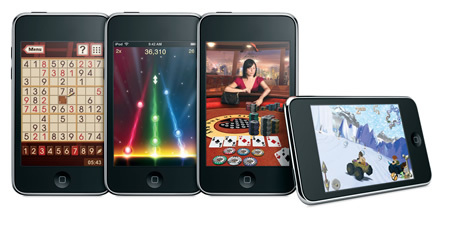 iPod touch with new features is being introduced by Apple. New features include a thin contoured metal design, a 3.5-inch widescreen glass display, 802.11 b/g Wi-Fi wireless networking, integrated volume control buttons, a built-in speaker for casual listening, a built-in accelerometer and other advanced sensors, and Apple's Multi-Touch(TM) user interface. 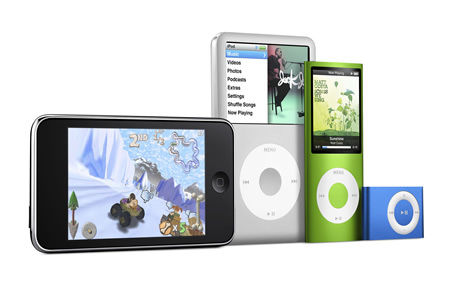 "iPod touch is the funnest iPod we've ever created," says Steve Jobs, Apple's CEO. "Users can listen to millions of songs, watch thousands of Hollywood movies and now, thanks to the App Store, download and play hundreds of great games on their iPod touch." Photo: Apple's App Store downloads thousands of games, movies and music. "iPod touch works seamlessly with iTunes so you can import, manage, and then easily auto-sync your favorite content. With up to 36 hours of music playback or six hours of video playback on a single charge, the new iPod touch is the ultra-portable way to enjoy your favorite music, TV shows, movies and games on the go. The 32GB model holds up to 7,000 songs, 25,000 photos or 40 hours of video; the 16GB model holds up to 3,500 songs, 20,000 photos or 20 hours of video, and the 8GB model holds up to 1,750 songs, 10,000 photos and 10 hours of video," Apple explains. Photo: Apple's new iPod lineup: the iPod touch for music, movies and games; the iPod classic; the iPod nano in nine colors; and iPod shuffle. The new iPod touch is smaller and lighter than the original. With its rounded edges, flush display and curved, more compact design, the new iPod touch is more comfortable to hold and more portable. 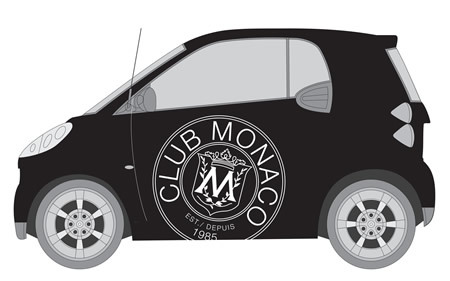 smart USA and Club Monaco launch "Fashion Fleet"
Photo: smart fortwo designed by Club Monaco. Targeting the urban professional, global brands Club Monaco and smart USA are jointly advertising their products with the launch of FASHION FLEET: The Ultimate Urban Trunk Show. The fleet showcases a caravan of chic Club Monaco designed smart fortwos and Club Monaco fall fashion. The Club Monaco smart fortwos, ten in total, feature images from the newly launched Fall 2008 Club Monaco Campaign, shot by renowned photographer Walter Chin as well as the brand's iconic black and white crest. The smart fortwo is a brand of and is manufactured by Daimler AG. This technologically advanced vehicle achieves 41 mpg on the highway and is an ultra-low emissions vehicle. While Club Monaco is an international retail concept that designs, manufactures, and markets its own Club Monaco clothing, accessories and home collection. Now headquartered in New York City, Club Monaco operates 120 stores worldwide. Club Monaco is a subsidiary of Polo Ralph Lauren Corporation. "The Fall Collection and campaign were inspired by the idea of the downtown aristocrat who brings uptown elegance a downtown flare." "It's a natural partnership for us and one we feel aligns with Club Monaco's core values -- design, style, and function," says John Mehas, President and CEO of Club Monaco. "Both Club Monaco and the smart fortwo are urban and sophisticated, and are geared toward meeting the needs of the modern consumer -- one who has a versatile and demanding lifestyle, and is looking for affordable luxury." FASHION FLEET: The Ultimate Urban Trunk Show is being launched during New York Fashion Week. Club Monaco designed smart fortwo vehicles will cruise New York City streets making stops at the landmark Mercedes-Benz Fashion Week locales. Young professionals will model the 'must have styles' of the season while gifting 75 lucky New Yorkers with iconic pieces from Club Monaco's Fall Collection at each stop. Gifts will include cashmere scarves, sunglasses from the newly launched collection, statement jewelry, small Italian leather goods and the signature Club Monaco houndstooth glove for smart drivers. "smart USA is excited to partner with Club Monaco for the 2008 Mercedes-Benz Fashion Week activities," says Dave Schembri, President, smart USA. "smart is the brand at home on the streets of New York City providing drivers with urban mobility, great gas mileage and environmental responsibility. The smart fortwo's iconic design also complements the sophisticated style of Club Monaco stores and customers." "Ten years ago one of the world's most unusual production vehicles was launched on the market. It was new and excitingly different from conventional cars - the smart city coupé, now called the smart fortwo. This extremely compact vehicle had just two seats and measured slightly more than two and a half metres in length. It was also able to fit into parking spaces perpendicular to the flow of traffic and it established its own class. Nevertheless, it took two people and their luggage to their destination very comfortably and with maximum safety. It also had impressively low fuel consumption and minimum carbon dioxide emissions. Even then it anticipated many of today's pressing questions concerning individual mobility and answered them in a unique way. After ten years of production one thing is certain: the idea has caught on. Thanks to technical innovations and a design that combines functionality with joie de vivre, the smart fortwo has become a cult car." And on September 5, 2008, Daimler AG and RWE AG launched the world's largest joint project for environmentally friendly electric cars (see the picture above). "Before its introduction in January 2008, 'smart fortwo' was unknown in the United States. Today, this most compact car is firmly establishing itself in the world's largest automobile market. Almost all American auto reviewers are commenting on it. The dealer network is already in place. The specialized market for "high-standard two-seater microcars" is automatically being created exclusively for Daimler AG. The German car maker is the solitary player in this American field. 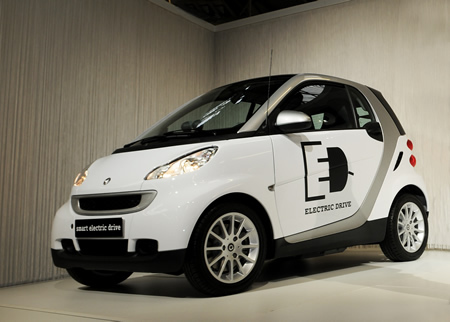 And the way the things are going, 'smart fortwo' is poised to become a Super Brand in the USA." • February 24, 2008: Designing of Daimler AG Mercedes-Benz "smart fortwo"
Photo: Honda will reveal a concept version of its new small hybrid vehicle, to be named Insight, at the 2008 Paris International Auto Show, October 2, the company announced. Honda has announced that it will reveal a concept version of its new small hybrid vehicle, to be named Insight, at the 2008 Paris International Auto Show on October 2. Honda further said that "Insight" would go on sale in the U.S. next spring and the all-new purpose-built Insight will come to market at a price significantly below hybrids available today. 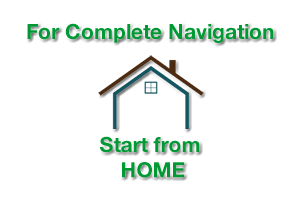 And from this unique position in the marketplace, the Insight will advance the affordability and accessibility of hybrid technology to a new generation of buyers. 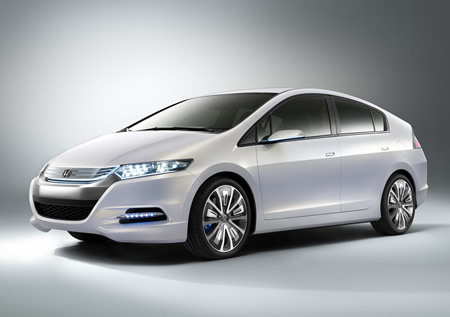 The new Insight Concept shares styling cues with the Honda FCX Clarity fuel cell vehicle, Honda explains. 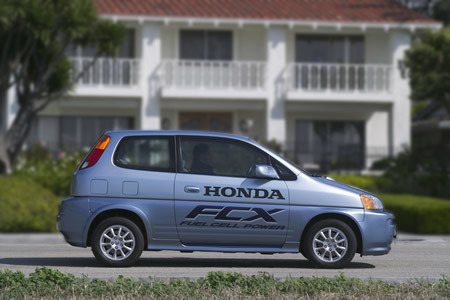 "The original Honda Insight pioneered hybrid technology in the U.S. and remains a symbol of Honda's commitment to innovative technology and fuel efficiency," said Takeo Fukui, Honda Motor Co., Ltd. CEO. "This new Insight will break new ground as an affordable hybrid within the reach of customers who want great fuel economy and great value." The production Insight will be offered as a five-door, five-passenger hatchback. Along with the Civic Hybrid, the new vehicle will be produced at an expanded hybrid vehicle production line at the Suzuka factory in Japan. Honda claims, "The Insight Concept is a small, fuel efficient hybrid car that delivers big style and functionality with a healthy dose of fun." "The Insight Concept defines a new stage in the evolution of hybrid technology resulting in a new level of affordability for hybrid customers worldwide. Evoking the innovative styling cues first seen in the FCX Clarity, the Insight Concept is designed with a low center of gravity and a generous five-passenger cabin. While the Insight Concept's aerodynamic design identifies its fuel efficient purpose, its five-door access and folding rear seats speak to functionality that is designed to meet the needs of customers with an active lifestyle," the company adds. According to Honda, the Insight is expected to have annual global sales of 200,000 units per year -- approximately 100,000 in North America. 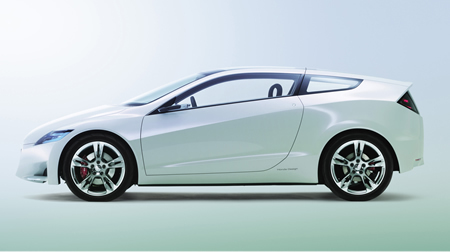 Following the launch of the new Insight, Honda also plans to introduce another sporty hybrid vehicle based on the CR-Z. "All together, Honda's global sales of hybrids should increase to approximately 500,000 units a year, or more than 10 percent of its total worldwide annual automobile sales," says Honda.